Is designing really so much fun? Design and its successors “design innovation” and “design thinking” are often presented as something that is fun and engaging. 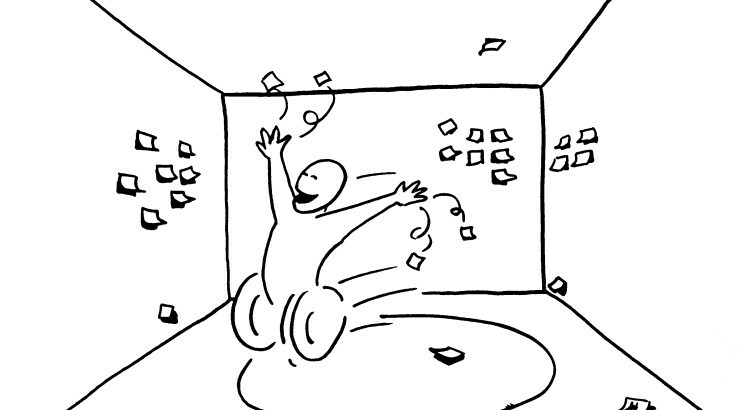 And designers and design innovators often have an image of happy-go-clappy-postit-sticking-enthusiasts (using the words of Kennisland’s Marlieke Kieboom). But is designing really such an enjoyable and exciting activity? As part of a study into design-led social innovation practices I recently interviewed people who have led or participated in design projects in a social innovation context, often for the first time. These people expressed many emotions about their design experiences that did not sound like fun at all, including feelings of frustration, confusion, irritation, fear and despair. And to be honest, this comes as no surprise. I’ve experienced it myself, I’ve seen it with my students, and I’ve seen it with the people I work with. In this blog I will explain where these negative feelings might come from, and why we shouldn’t ignore them. One of our clients, Hunter Partners in Recovery, created a very nice video of the work we did with them on supporting people with severe and persistent mental illness. In this 3-minute video I briefly explain the method we use and some of the people who participated share why this project mattered to them. You can read more about this project in this blog. Imagine you have identified a problem you do not know how to solve, but you do have some money to spend on it. You can then either hire someone to solve the problem for you – a designer or innovator – or you can organise a challenge in which people compete by generating solutions. The person who can find the best solution wins a prize. The latter is becoming increasingly popular, which is easy to understand. 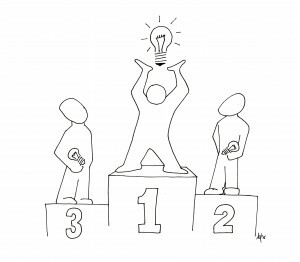 A challenge prize will give you more solutions than commissioning the project to an individual designer or innovator. But how do you make sure that this crowdsourcing results in something innovative and successful? On my recent trip to Europe I discussed this question with three ‘social innovators’ who each had wide experience in setting challenge prizes. 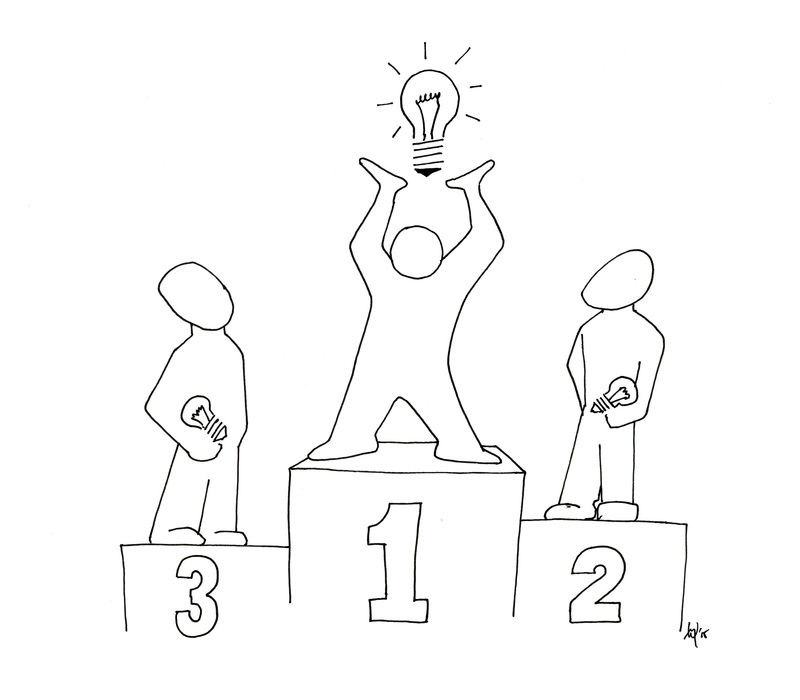 In this blog I argue that the key to a successful outcome is in the framing of the challenge. When people with a severe mental illness are going through a crisis, for example when they are having a psychosis, or are threatening to harm themselves or others, they are in acute need for help. In these situations they usually receive support from many different people, including their carers, police, ambulance, emergency departments, social workers and mental health units. Currently there are many problems within this complex crisis response system. For example, signs of distress are often detected too late, being transported to the hospital and staying in the emergency department can be very traumatic experiences for people with a mental illness, and there are often conflicts between service providers about responsibilities. This is exactly the kind of complex societal problem we like to address through our design innovation methods. At first sight the fields of mental health emergencies and design might not seem to be related at all. Severe mental illness is a very serious problem and is design not some kind of fun and creative activity used to create things like fashion, iPhones and cars? The latter is indeed true, but there is increasing evidence that the way designers think is also beneficial outside this traditional design domain. This is called design innovation or design thinking. This means that design methods are not only used to design things and products, but also to design services, processes and policies. One of the principles of design thinking is that to be able to generate innovative solutions designers need to gain a deep understanding of the problem. However, the process of translating these insights into solutions is often presented as rather mysterious and dependent on the ingenuity of designers. In this blog I will show how the frame creation methodology developed by Kees Dorst unveils this mystery by providing a clear method to move from insights to solutions, and how it helped us generate a very promising solution to support people with a severe mental illness who are in acute need for help.